Yours is an understandable reaction. All of us have narcissistic TRAITS. Some of us even develop a narcissistic PERSONALITY, or a narcissistic STYLE. Moreover, narcissism is a SPECTRUM of behaviors - from the healthy to the utterly pathological (a condition known as the Narcissistic Personality Disorder, or NPD). "An all-pervasive pattern of grandiosity (in fantasy or behavior), need for admiration or adulation and lack of empathy, usually beginning by early adulthood and present in various contexts." 6. That the narcissistic behaviors pervade all the social and emotional interactions of the narcissist. American Psychiatric Association. (2000). Diagnostic and statistical manual of mental disorders, fourth edition (DSM IV-TR). Washington, DC: American Psychiatric Association. Sam Vaknin. (1999-2015). 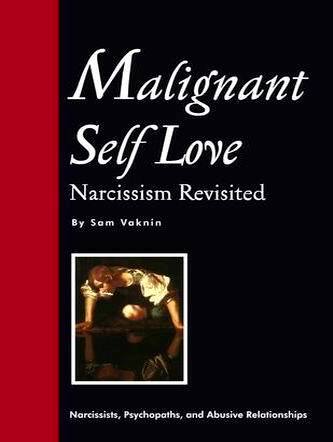 Malignant Self-love: Narcissism Revisited, tenth, revised printing Prague and Skopje: Narcissus Publications.